My husband and I like pancakes. If we go out to eat for breakfast we generally go somewhere with good pancakes. So since we don’t really go out for breakfast I have been in search for a restaurant-like pancake I can easily make at home. I FOUND IT. Yay! I have been using it for a little while and it’s still a winner. By all means, make them! 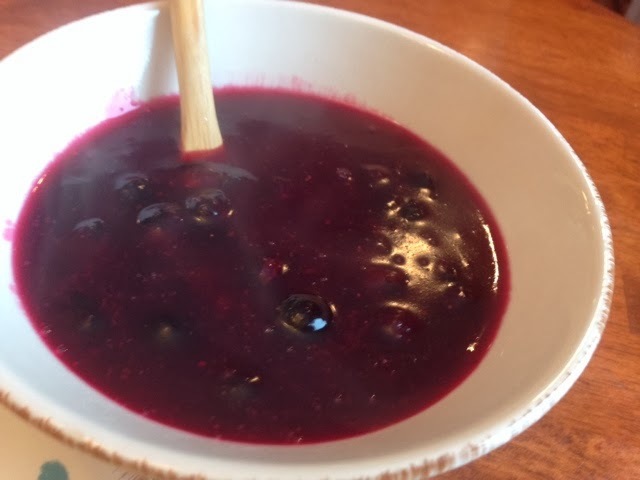 The recipe I found is fantastic and I did a variation one day because I ran out of one of the main ingredients, sour cream, but used plain yogurt instead and it didn’t taste much different. So that’s my spin on the recipe. 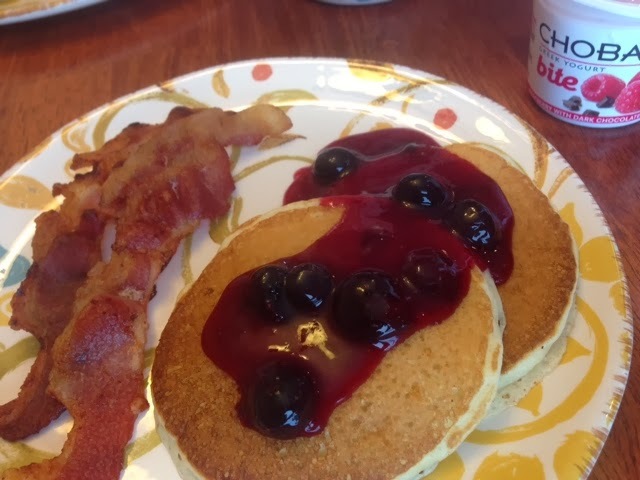 Also, you can make a blueberry glaze to drizzle over top instead of syrup and it’s really good. 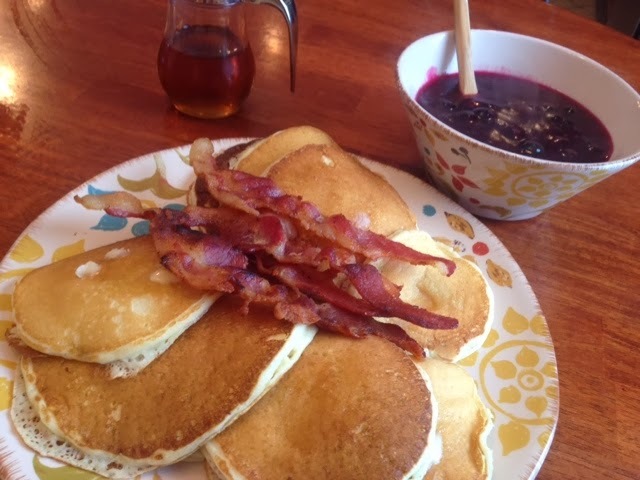 The recipe makes A LOT of pancakes and glaze so beware. I always cut it in half. But if you have a big family or big eaters then it may be perfect for you! 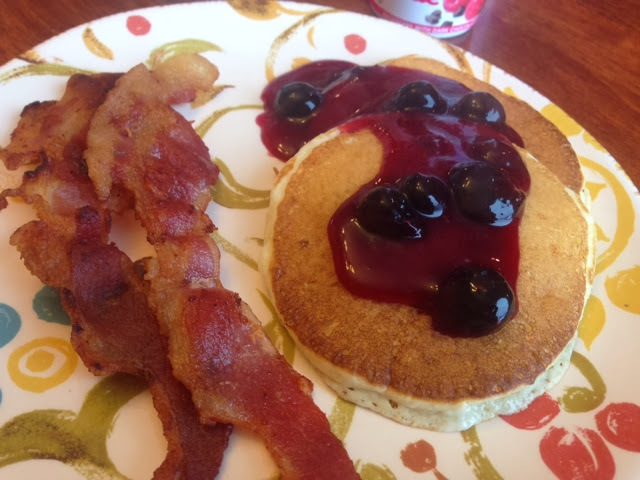 If you’d like to make the pancakes blueberry, then add 1 cup of blueberries to the batter. But plain is delicious. So try these for your family and hopefully they’ll be jumping for joy like mine does. We no longer care to get pancakes at a restaurant cause these are SO GOOD.